Bungie is gearing up for an official launch of Marty O’Donnell and Paul McCartney’s unreleased Destiny symphony. Marty O’Donnell, the composer who created iconic soundtracks for the Halo and Destiny series, didn’t exactly leave Bungie on the best of terms. But perhaps Bungie is finally putting forward an olive branch by releasing Music of the Spheres. Music of the Spheres is an unreleased, eight-movement symphony developed by O’Donnell and an unknown musician by the name of Sir Paul McCartney. 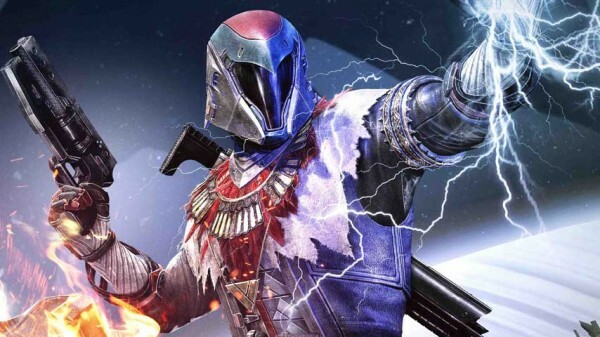 The project was originally supposed to be released alongside Destiny, but those plans were dropped and seemingly forgotten after he left Bungie. Destiny fans have been trying to piece together fragments of Music of the Spheres since. As noted in a new report from Eurogamer, Bungie is finally prepared for an official release. It started when the developer started shutting down unofficial versions of Music of the Spheres, prompting a tweet from O’Donnell himself. Bungie community manager Cozmo23 responded to this complaints with a Destiny reddit post, confirming that a Music of the Spheres launch is in the works. Now Bungie’s handling of the announcement did prompt some mildly passive-agressive comments from O’Donnell, who apparently had no idea Bungie was planning anything with his work. That being said, O’Donnell has admitted this is good news, even as Bungie teases him with references to Paul McCartney Destiny music video. Awkwardness aside, the fact that fans can soon obtain official copies of Music of the Spheres is fantastic, and may be a great way for Bungie and O’Donnell to bury the hatchet once and for all. Bungie should have more details of how to obtain the symphony soon.